The approach known as Functional Medicine developed approximately 30 years ago from the dissatisfaction that many physicians felt in their attempts to heal their patients of chronic diseases. While allopathic (conventional) medicine may be very effective at treating acute ailments (such as trauma, heart attacks, serious bacterial infections), the allopathic approach typically manages chronic diseases rather than heals the patient. The patient typically takes one or more medications for each disease, and the list of medications tends to increase as the patient ages and their health continues to deteriorate. This approach often is based on organ dysfunction, and there are specialists who focus on each organ dysfunction. The Institute for Functional Medicine uses the image of a tree with the various medical specialties symbolized as the ends of the branches. 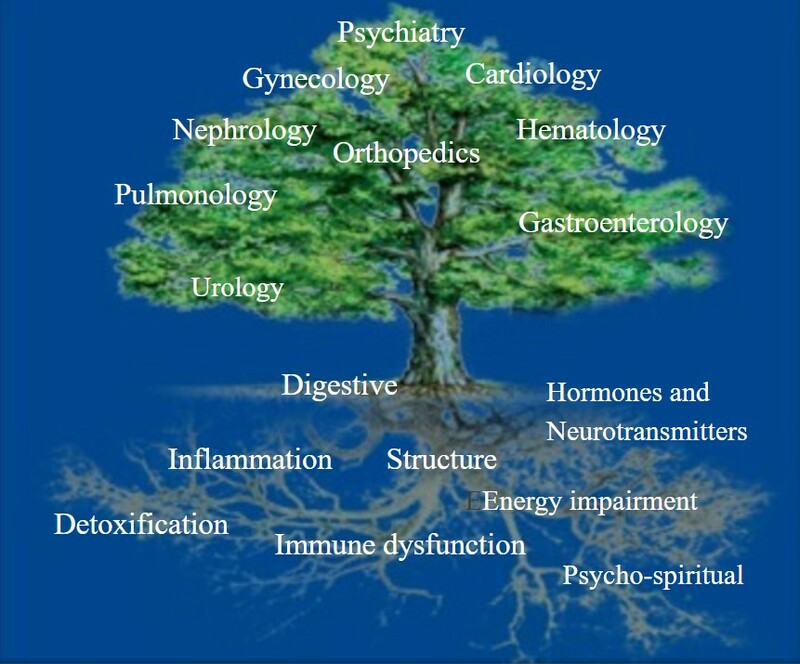 Rather than focusing on organ dysfunction, the Functional Medicine approach focuses on the underlying disturbances or imbalances of the patient — these underlying imbalances are visualized as the roots of the tree. Looking for and treating these underlying imbalances is more likely to lead to the use of fewer medications over time and to increased health and well-being. It is important to understand that Functional Medicine is not based on a unique body of scientific knowledge; rather it is simply based on a different way of looking at the same knowledge available to all conventionally-trained physicians. But there are some important differences which arise from the Functional Medicine perspective. First, there is a greater focus on nutrition and lifestyle changes. Second, there is a greater use of sophisticated laboratory testing to look for the underlying causes of chronic diseases. Third, there is a greater use of natural supplements and herbs and lesser reliance on prescription drugs. While the goal is always to heal the patient and some patients are able to discontinue the use of prescription drugs, these drugs will not be discontinued until it is safe to do so. See the Institute for Functional Medicine website, www.functionalmedicine.org, to learn more about functional medicine and to find other physicians trained in the use of functional medicine. Contact us with your questions, or to request an appointment. Visit the American Institute of Homeopathy to learn more about homeopathic medicine, to read about some of the research supporting the efficacy of homeopathic medicine, and to find other physicians trained in the use of homeopathic medicine. 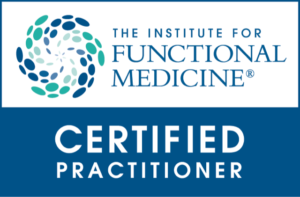 Visit the Institute for Functional Medicine to learn more about functional medicine and to find physicians trained in the use of functional medicine.